The Golden LEAF Foundation recently redesigned its website and social media platforms to share its mission and showcase its economic impact on rural North Carolina over two decades in operation. The new site can still be found at www.goldenleaf.org. Look up examples of funded projects in the areas of workforce, economic development, education, agriculture, healthcare, and community vitality. 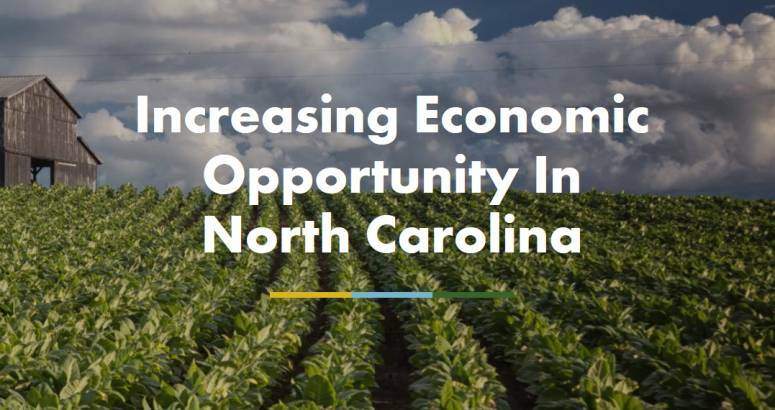 The site also highlights statistics that show how projects are helping move the economic needle in rural North Carolina and how the grants funded by Golden LEAF are supported by the Foundation’s mission, vision and goals. Golden LEAF continues to expand social media and digital platforms including a new Facebook page for the Golden LEAF Foundation, featuring grantees, scholars, and Foundation events. Golden LEAF can also be found on Twitter @NCgoldenLEAF and @ncLEAFchief. Please connect with the Foundation through social media platforms and share with colleagues and partners.